Measuring just 19 km (12 mi), the Hai Van Pass is still considered one of the world’s most beautiful coastal drives as it winds its way through the Truong Son mountain range of Central Vietnam with lush jungle on one side and the beautiful blue East Sea on the other. Made even more popular to the outside world by the BBC program Top Gear Vietnam Special, the Hai Van Pass links Hue on the north end to Danang and Hoi An in the south, making this “deserted ribbon of perfection” a great day trip from any one of the three cities. If you want to drive from Hoi An up through Danang, over the pass and on to Hue, the total distance measures approximately 165 km (103 mi), with lots of opportunities for side trips along the way. …or the giant female Buddha statue overlooking the Danang coastline. Or laze on its long stretch of beach with a side trip to the world-class Cham Sculpture Museum. In the evening, head to the iconic Dragon Bridge for a dazzling display of lights, fire and water. 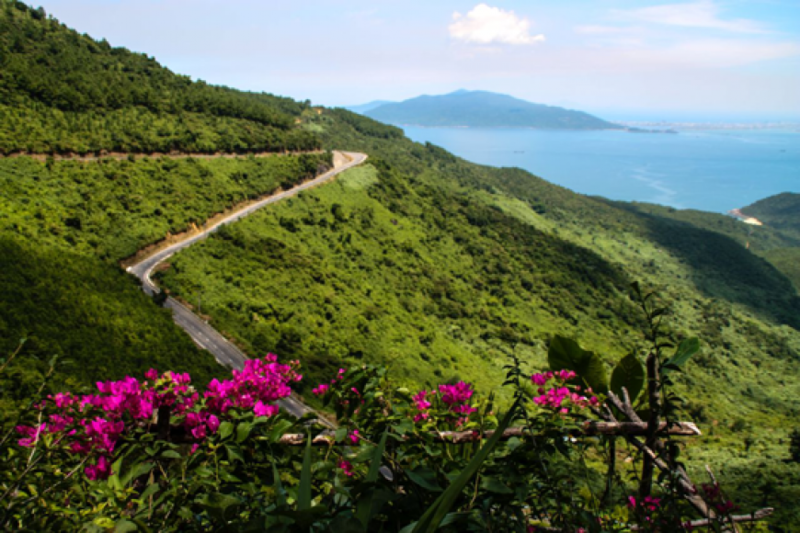 Before the Hai Van Tunnel opened in 2005, cars and trucks were forced to take the Hai Van Pass, its switchbacks, hairpin turns and plunging cliffsides striking fear in the hearts of passengers. Nowadays, most four-wheeled traffic goes through the tunnel, leaving the pass wonderfully quiet with very light traffic – ideal for the confident motorbike driver or even fit cyclist. While you don’t have to deal with traffic, driving over the pass requires a bit of skill as you’ll need to slow down before the blind turns and accelerate halfway through to continue through the curve. There are traffic mirrors for safety at every bend and it’s a good idea to honk your horn as you’re coming around the turns. Clear sunny days are best to make the trip. You’ll want to avoid miserable conditions during the rainy season as well as late afternoons and foggy days which obscure the otherwise stunning views. “Hai Van” in Vietnamese translates to “ocean clouds”, referring to the mist which sometimes shrouds the pass. At the very top of the pass, about 500 m (1,640 ft) above sea level, is the geographical boundary between modern-day Danang and Thua Thien-Hue provinces as well as the ancient kingdoms of Champa to the south and Dai Viet to the north. The pass also divides the climates of the subtropical north and tropical south of Vietnam. Here, you’ll find a small section of souvenir shops and restaurants, perfect for a coffee as you look back over the road as it zigzags through the jungle. Look out as well for French-era fortifications as well as the Hai Van Gate, a brick rampart and fortified gateway built in 1926 under Emperor Minh Mang. There’s also a nearby platform that’s become a very popular spot for wedding pictures. The pass acts as a natural border between northern and southern Vietnam, akin to a belt cinching the waist of the country almost at its narrowest point. Once over the pass, the wide sandy beaches of Lang Co immediately to your right at the end of the Hai Van Tunnel is a great place to stretch your legs and get your feet wet. Or veer to the left for the Lap An Lagoon and have a meal of meaty oysters fresh from the lagoon. If you keep driving along the coast, you’ll soon encounter the lush countryside and emerald green rice paddies on the way to Hue, with another series of lagoons to the right. Soon enough, you’ll be in the former imperial capital itself, with temples and tombs to explore as well as creepy abandoned water parks and more! 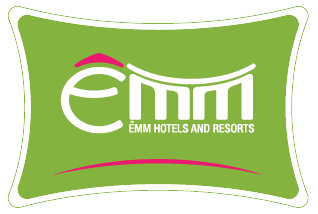 On either end of the Hai Van Pass, stay at centrally-located ÊMM Hotel Hoi An or ÊMM Hotel Hue. Visit our tour desk for more travel tips on your Vietnamese adventure!